Finding an experienced professional like Laura J. Crawford is an important first step toward effective hair removal treatments. But it depends on you to follow Laura's before- and after-care instructions to get the most value for your money -- as well as the most comfortable and safe treatments possible! That's why Laura has a specific set of care products that experience has proven to keep your skin healthy and attractive. All are on sale just outside of her studio at Brooks & Co. Salon and Spa on Louisville's east side. 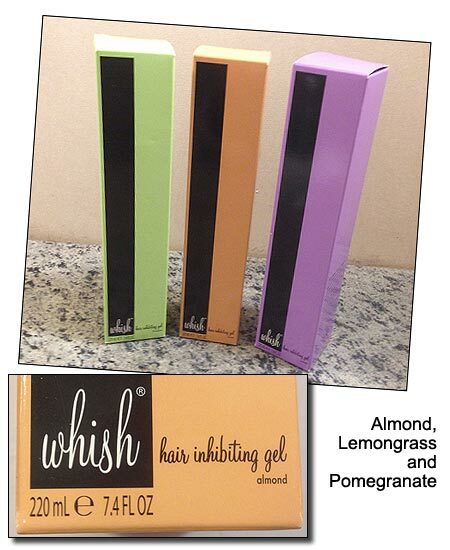 Whish® Hair Inhibiting Gel: Apply up to twice daily between waxing treatments to slow hair growth by up to 50 percent of normal rate. Inhibits hair growth, moisturizes and renews skin. Skin Mend Skin Care Treatment (compare to Tend Skin® Skin Care Solution): Apply after waxing or electrolysis to reduce redness. Apply twice daily for a week after treatment to avoid infection. See full Users Guide. 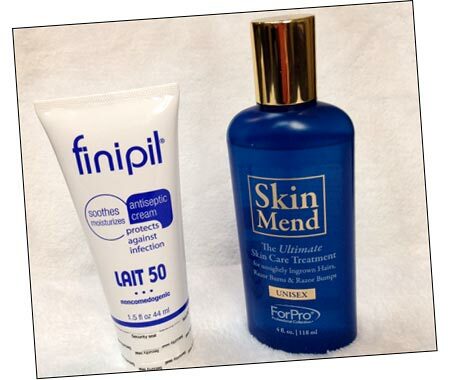 Finipil Lait 50 (Similar to Kree Formula 4): Apply after electrolysis to sooth, cool and guard against infection. Use twice daily for three to seven days after treatment. Whish® Flawless Post Wax & Shave Serum: An alternative to Tend Skin for people with asprin allergies. Cleans out pores, prevents ingrown hairs, moisturizes, soothes and regenerates. For both waxing and electrolysis clients. 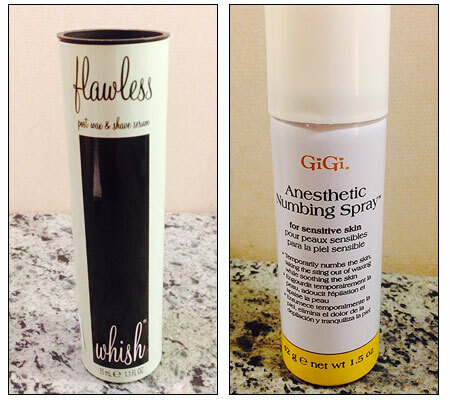 Gigi® Antesthetic Numbing Spray: Helps minimize pain for both waxing and electrolysis. Apply immediately before treatment or 30 minutes beforehand and cover with plastic wrap to maximize pain reduction. NEW! TOPICAINE® 5 Topical Anesthetic Gel: A non-oily, translucent topical anesthetic gel containing lidocaine 5% in a microemulsion with skin permeation enhancers and soothing agents. Excellent numbing results are obtained 30 minutes to 1 hour after application. If the application time is 30 minues, the skin numbing effect will last about 1 hour. Apply and cover with plastic wrap for best results.